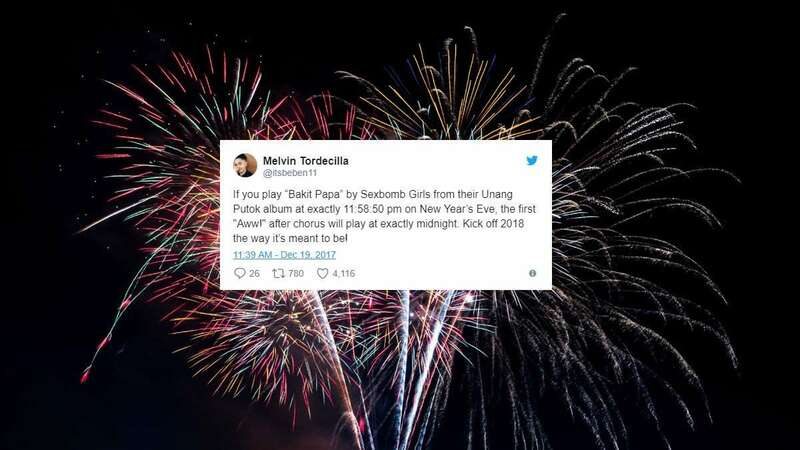 Just when we thought that the last days of the year would pass peacefully, a new trend to "start 2018 right" has emerged on social media. What Twitter peeps have been up to recently is meticulously doing the math to sync (parts of) particular songs to the stroke of midnight. From giving their beloved tunes a special mention to mocking the ditties that they loathe the most, netizens are really stretching their creativity with these viral music countdowns. Interestingly enough, some are even in Filipino context, featuring OPM artists.